With a capacity of up to 100 people, our stadium seated construction training, education and meeting room provides a unique construction industry outlet to gather and learn. 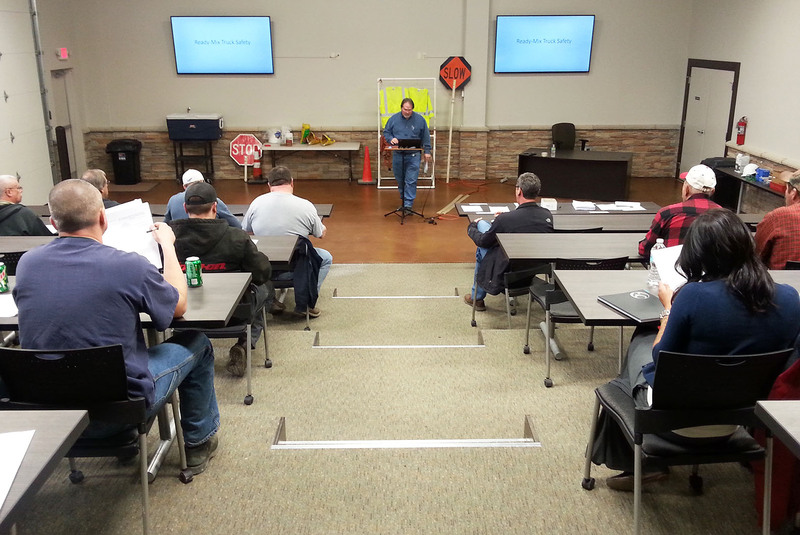 Containing two 60” TV monitors for power point presentations, and a large hands on area to train, educate and display the latest products and information to the concrete construction industry, our facility is equipped for many needs including; continuing education courses, construction meetings, vendor sponsored training on specific products, safety training, and external customer meetings. The facility is also available to rent for all local business needs.